The Martin Luther King, Jr. National Historical Park is centered around Dr. King's boyhood home and includes many other structures important to his story, including Ebenezer Baptist Church, where he was baptized and later served as pastor. 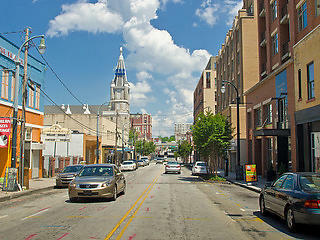 The site is a part of the larger Sweet Auburn neighborhood and is a key part of a thriving community. 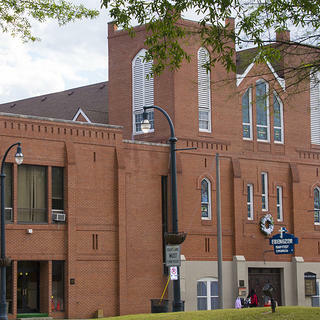 The 1922 Historic Ebenezer Baptist Church was the site of many meetings and rallies—including the 1957 gathering that led to the founding of the Southern Christian Leadership Conference. The church sits at the center of the country’s Civil Rights movement and also served as Dr. King’s lifelong spiritual home. The Land and Water Conservation Fund was instrumental to saving the Martin Luther King, Jr. National Historical Park, contributing 3.47 million dollars, which allowed for the acquisition of 15.4 acres. 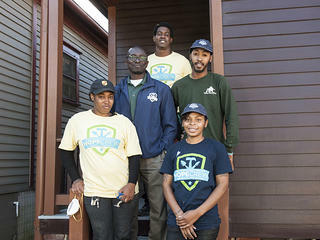 As part of the Trust's HOPE Crew program, a group of young adults from Greening Youth Foundation's Atlanta Youth Corps embarked on a project to repair and repaint the exterior of a pair of shotgun homes located on the Martin Luther King, Jr. National Historical Park. Positioned on the corner of Old Wheat and Boulevard Streets, these structures were constructed between 1905 and 1909 and are National Park Service-controlled and tenant-occupied residences. The project was funded by the National Park Service. The month-long project left corpsmembers with preservation trade skills which will help bolster their resumes, and with a lasting physical reminder of what they've accomplished. 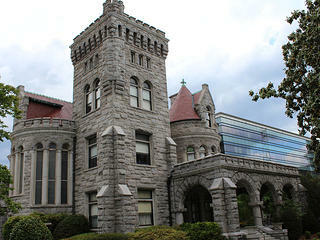 Martin Luther King, Jr. National Historical Park participated in Partners in Preservation: National Parks.